Pedersen takes the reader on a wonderful journey through the history of Buffalo from the times when the Iroquois Indians ruled the land to now where the city is thriving with locally made candies, food festivals, multicultural events, theatre and stunning architecture drive away the reminders of great blizzards past. Each chapter/essay in this book covers something about Buffalo that I found fascinating, whether it was the history or descriptions of the beautiful and even some strange sights. Buffalo is always changing with the times. Laura Pedersen could always throw in some comment that leaves you smiling. Her humor really makes this book one that cannot be put down. The Buffalo Chamber of Commerce had better have a thank you basket handy for Laura, because every section had me wanting to move to Buffalo and set down roots. My only reservation, was the snow and cold. Pedersen even covers the “Blizzard of ’77” and a few other tragedies such as the “Cleveland Hill Fire,” when an elementary school burned down killing many children, but the bright side, if there can be one in such a tragedy, is that this New York tragedy created the need for schools nation wide to organize fire drills. If you like architecture then you already know of Frank Lloyd Wright, but did you know of the many Buffalo area buildings he designed? Architecture is covered as well as sculpture, and other arts, so it seems Buffalo has a bit of something for everyone. This book is a fun read that not only teaches a little history, but entertains with the not quite dry wit of Laura Pedersen and creates the urge to shuffle off to Buffalo. But there’s still that snow thing…maybe if a radio station in the Buffalo area needs an employee and will pay to move me there, for that I would love to see the sights written about in this book, maybe I’ll have to plan a vacation to Buffalo, after all Niagara Falls is close by. 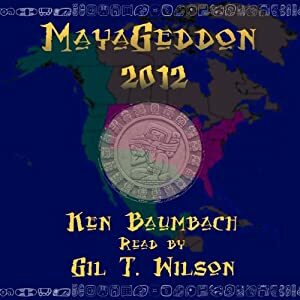 Now let’s talk about how you can win a copy of this book. 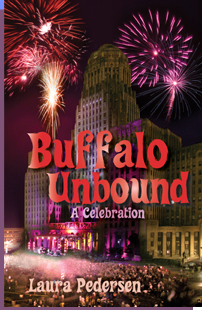 All you have to do is comment on this posting and you’ll be entered in a random drawing to win not only this book, “Buffalo Unbound,” but also Pedersen’s memoirs, “Buffalo Gal.” Comment and make sure you leave a way for me to contact you. If you don’t feel comfortable leaving your email address then email me gil (at) gilwilson (dot) com and let me know you commented. Drawing to be held Friday, October 22, 2010. Also check out Laura Pedersen’s website for more information about her and her other books.